Janet brings significant clinical nursing experience to SE Healthcare. She has almost 25 years of experience working in multiple facets as a nurse. At different times in her career, she has served as a medical-surgical, emergency department, and an ICU burn center nurse; a Clinical Nurse Educator in a medical intensive care unit, an adjust faculty member in the College of Nursing at the Medical University of South Carolina; and as a Nurse Manager in a medical intensive care unit. Janet serves as a Senior Clinical Consultant for SE Healthcare. 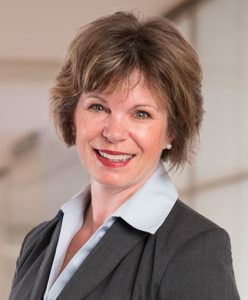 Utilizing her vast amount of experience, Janet consults with clients on clinical risk and outcome measurement systems and assists clients in implementing performance improvement programs. Janet began her career at the Presbyterian Hospital in Charlotte, North Carolina. She worked both as a medical-surgical staff nurse and an emergency department nurse in a Level II trauma center. She then moved to the Medical University of South Carolina where she worked as an intensive care unit nurse in the burn center. She later transitioned into the role of clinical nurse educator for the Medical Intensive Care Unit. Janet taught as an adjunct faculty member for the Master of Nursing online program at the Medical University of South Carolina. She currently serves as a nurse manager for the medical intensive care unit. Janet is a national and local chapter member of the American Association of Critical Care Nurses. She is also ANCC Nurse Executive Board Certified and certified in Advanced Cardiac Life Support and Basic Life Support through the American Heart Association.